More than 135 other fish and wildlife populations benefit from the presence of wild salmon and steelhead. A geologist might not be the first person that comes to mind when you think about salmon experts, but David Montgomery wrote the book on the decline of salmon: “King of Fish” in 2004. Montgomery, a geomorphologist and professor at the University of Washington, has a unique perspective on why salmon are so important to our region. Of course, there’s the importance to the indigenous people in our area and the delicious food they provide, but they also have a serious impact on our whole ecosystem. It’s no secret that those big runs are declining in a major way. Historically, adult salmon returns to the Columbia Basin were at least 10 to 16 million fish annually — today, across the Northwest, less than 5 percent of historic populations of wild salmon and steelhead return to our rivers and streams. Fifteen different salmon and steelhead stocks in Washington state are listed under the federal Endangered Species Act today. As Montgomery notes, the loss of these salmon means a domino effect to the ecosystem. 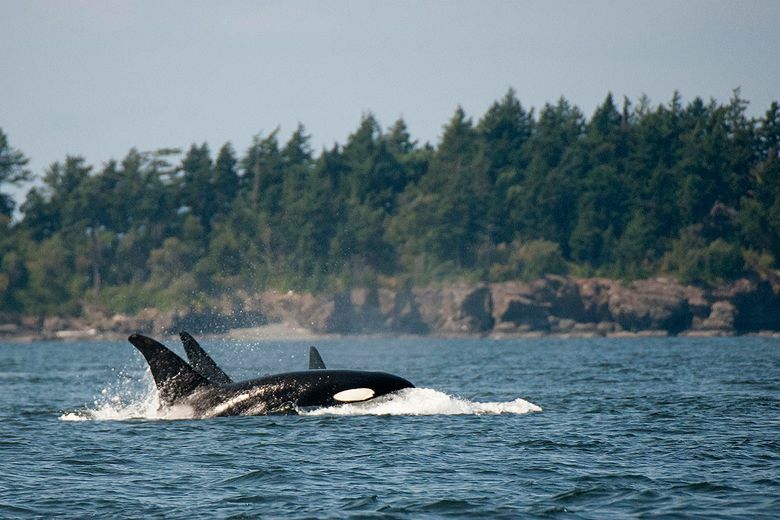 More than 135 other fish and wildlife populations benefit from the presence of wild salmon and steelhead, from southern resident orca whales, which are at a 30-year population low, to eagles, wolves, bear, otter, coyote, seals and sea lions. Save Our Wild Salmon, a coalition of more than 40 organizations including conservation organizations, recreational and commercial fishing associations and clean energy and orca advocates, is working to secure removal of the four lower Snake River dams in southeastern Washington state and to include “ecosystem function” in the upcoming U.S.-Canada Columbia River Treaty negotiations. Bogaard believes dam removal is one of the most important opportunities to restore salmon habitats and access to those habitats. “We still have more than 400 dams and other river blockages in the Columbia Basin,” he says. In addition to dam removal, there are other environmental changes impacting salmon that we can reverse if we act soon, says Jacques White, executive director of Long Live the Kings, a 31-year-old conservation organization dedicated to protecting and restoring the wild salmon and steelhead populations. For instance: climate change, shoreline development and diking and dredging estuary marshes. Choices made at the grocery store can help save salmon, too. Some Pacific Northwest products are marked with Salmon-Safe eco-labeling. This label recognizes farmers who adopt conservations practices that help promote healthy watersheds and protect native salmon habitat, says David J. Burger, executive director of Stewardship Partners, an organization focused on improving watershed health. To get involved and stay up-to-date on salmon conservation legislation and news, visit Save Our Wild Salmon, a coalition of conservationists, fishermen and clean-energy and orca advocates pressing elected officials to restore the health of the Columbia-Snake River Basin.